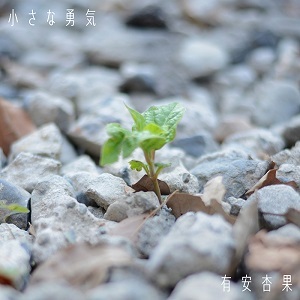 " Chiisa na Yuuki” on iTunes and REKOCHOKU, etc. are a music distribution site, and until limited delivery period of February 24, 2017. This is as Kumamoto earthquake and an Eastern Japan Great Earthquake charity song. We do not have direct association with the artist, agency or record company. All proceeds except for the necessary expenses are sent by the Japanese Red Cross Society as a donation to the earthquake disaster. Translate the song into your local language, spread the message, spread the love. Then I heard someone's voice somewhere. People stopped to look around. The voices will become loud. One small courage becomes the seed. Because we have endless strong courage. Protected by the sunlight, once again, look up into the sky. Because we have eternal sky and our courage. It was a small thing, but it was tried. To be told "Thank you very much.” by someone with a smile. Tears of happiness flowing out. Somewhere, again. From someone again. This voice, this song, this feelings. In order to reach you. Because the flower of smiles will blossom. Where do you want to see MCZ next year for World Tour? "Yuku Momo Kuru Momo" Momoiro Clover Z 1st Countdown Live details! MCZ Fan News. This is a fan website and is intended for promotional purposes only. Awesome Inc. theme. Powered by Blogger.